Back in the days when F1 racing was much less safety focused than it is today engines could make up to 1,000hp for qualifying trim and up to 750hp for the race. Those were the days when Alain Prost and Niki Lauda were wheeling F1 cars around the track. A company called Lanzante is taking 11 customer owned Porsche 930 cars and cramming in engines that were used in actual races. The 930 era 911 car was reportedly a handful in stock trim making 330hp. The F1 engines used will be tuned to the area of 750-800hp. With a real F1 engine under hood, these cars should sound bonkers. 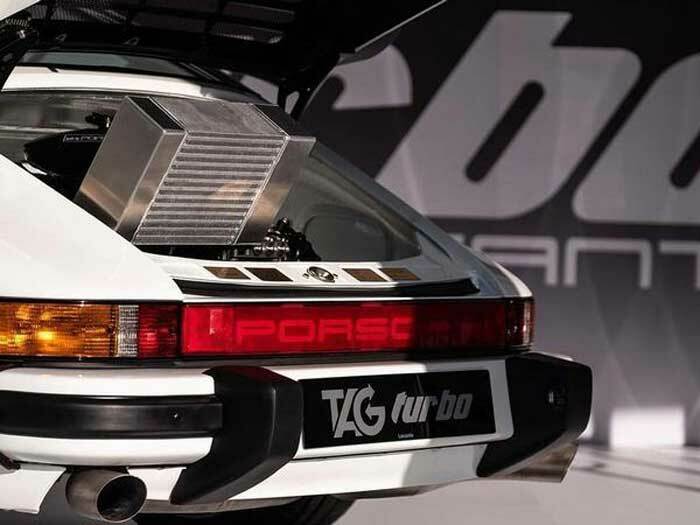 The engine itself is a turbo V6 unit branded TAG-Porsche. That engine has a scant 1.5-liter displacement making it tiny, but mighty. More details will be forthcoming.